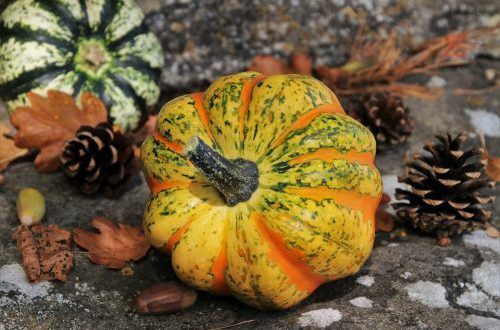 Home » Eat Well » New for November: What Foods Are In Season? New for November: What Foods Are In Season? November challenge! Build your grocery list around foods that are in season! Why? #1: foods that are in-season are more flavorful! #2: Fresh fruits and veggies from the vine have more nutrients and antioxidants. And #3: seasonal produce is better for the environment. Basically, it’s a win-win all around! So…what’s in season for the month of November? You know what they say – “An apple a day keeps the doctor away”. Apples give you your daily dose of fiber, vitamin B-6, and and vitamin C.
Meal Idea: Toss chopped up apples into your morning oatmeal. Add a smidge of cinnamon and a dash of brown sugar for an apple pie inspired breakfast. You and a pear would make a great pair. Pears are rich in potassium and make a perfect fall snack. Personally, I love brussel sprouts. But they aren’t everyone’s cup of tea. That’s unfortunate because they are loaded with fiber, vitamin K, and vitamin C! Meal Idea: Preheat oven to 450 degrees. Wash the brussel sprouts and cut into halves. Place on a flat baking sheet lined with parchment paper. Coat with a small amount of olive oil, pepper, and salt. Roast for approximately 45 minutes. Pumpkins, butternut squash, acorn squash, you get the picture. Winter squash season is upon us! Most varieties of squash pack in tons of vitamin A. Meal Idea: Sometimes simplicity is best! One of the most flavorful ways to prepare squash is to roast it with olive oil and seasonings. Or, you can just go straight for the pumpkin pie. Both are viable and delicious options!